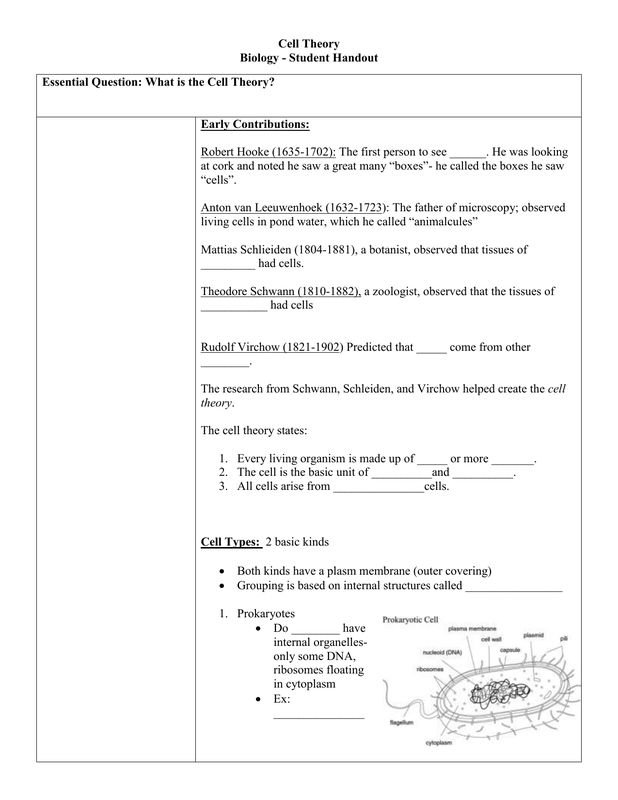 Essential Question: What is the Cell Theory? 1. Every living organism is made up of _____ or more _______. 2. The cell is the basic unit of __________and __________. 3. All cells arise from _______________cells.  Ex: typical______________ or __________ cell.